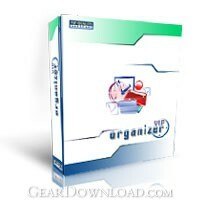 A VIP Organizer - Personal task management software for workflow optimization by to-do list usage. What's New: Added: - TLS (SSL) mode for sending emails Improved: - Category and Due Date in the subject of Email Reminder Fixed: - Application postponed the first carrying out the task to the second week if the start date task is a day before "First Monday"
This download (VIPOrganizerSetup.zip) was tested thoroughly and was found 100% clean. Click "Report Spyware" link on the top if you found this software contains any form of malware, including but not limited to: spyware, viruses, trojans and backdoors. Visual eNote Standard Edition 1.59 - One of the most popular, virtual-sticky-notes & reminder software for windows !